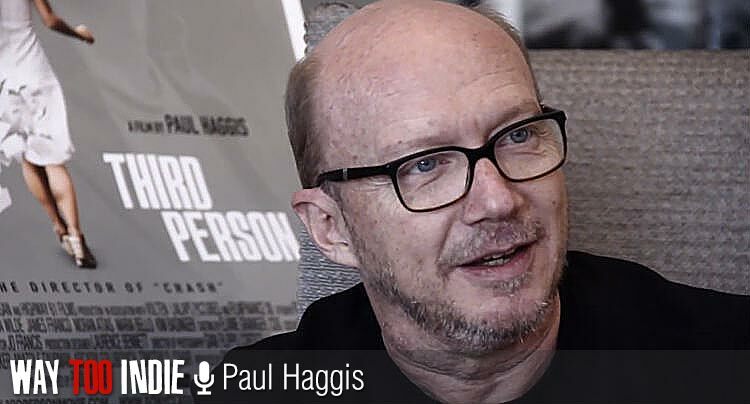 Writer-director Paul Haggis (Crash, In the Valley of Elah) spoke with us in San Francisco about his new film, Third Person, which follows three interlocking stories of love, taking place in New York, Paris, and Rome. A labor of love, the script took two and a half years to complete, with Haggis writing and re-writing the intricately woven story incessantly. The film stars Liam Neeson, Mila Kunis, Adrien Brody, James Franco, Kim Basinger, Moran Atias, and Olivia Wilde. In Part 2 of our video interview, Haggis speaks with us about viewing the film as a puzzle, initially thinking Kunis was wrong for the role, why stories (not directors) should have style, whether he found the answers he was looking for in making the film, and more.